Our computer services use the latest technologies and are updated regularly. Students have access to all of the major IT packages as well as subject-specific software such as Adobe CS6.0 for built environment students, Sage 50 Accounts Professional for accounting students, Altera (Quartus II) computer-aided design software for electrical and electronic engineering students, and a whole host of English language learning software, such as Road to IELTS, available through our Language Centre. As well as multiple general-use computer rooms across campus, our departments are well-equipped with laboratories and facilities suitable for subject-specific study. For example, our Department of Biological Sciences has custom-designed cell culture laboratories, our Department of Chemistry has high-tech instruments such as spectrometers, modelling and construction workshops are accessible to students in our Department of Architecture and students in the Department of English, Culture and Communications can take advantage of an SDLTrados professional translation laboratory. Much of our computing resources are managed by our Management Information Technology and System office, who also provide free Wi-Fi access across campus, file server storage and printing services. A dedicated IT helpdesk is available to all students seven days a week. ICE (Interactive Communicative Environment) is an online teaching system where lecturers can create interactive teaching materials and courseware for students to browse. Students can also submit homework, check marks and complete questionnaires through ICE. Portal is a platform upon which students, staff and alumni can share information, collaborate and communicate. Mahara is a fully featured electronic portfolio system with social networking features to create online learning communities. The Student Response System is a wireless radio frequency ‘clicker’ used for interactive learning and to enhance students’ learning experience. 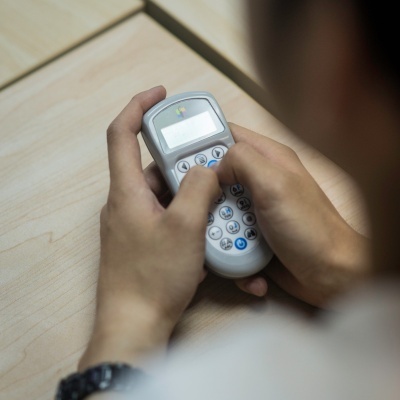 It allows students to answer questions during lectures by pressing buttons on the handset and statistical results will be shown on the computer shortly after students’ responses. Our online systems make it easier for students and staff at the University to communicate, share information and collaborate, as well as enhancing the experience of learning and studying at XJTLU.